In a news conference Wednesday, Kentucky State Police officials said their forensic test revealed the bullet that killed OSU-Mansfield student Skylar Williams was fired by her alleged abductor, Ty'rell Pounds. A forensic test revealed that the bullet that killed OSU-Mansfield student Skylar Williams was fired by Ty’rell Pounds, the man who allegedly abducted her from campus Monday, and not the Kentucky State Police trooper who shot and killed Pounds after a pursuit ended on Interstate 71 in Oldham County, Kentucky. 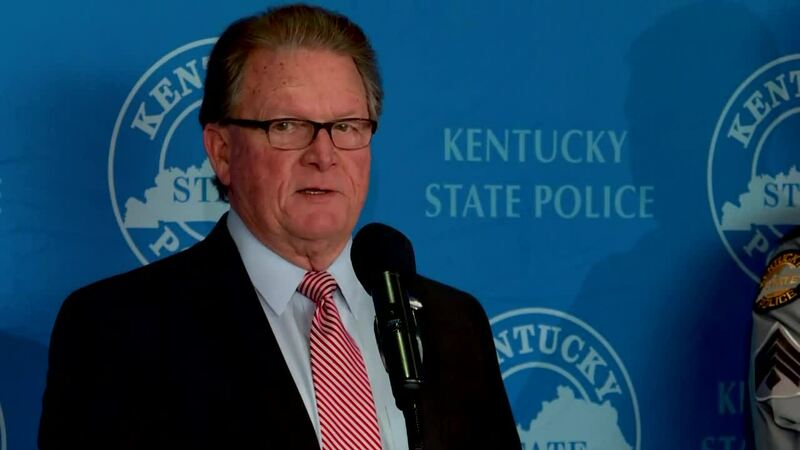 KSP Commissioner Rick Sanders confirmed in at a news conference Wednesday that after police performed a PIT maneuver on the interstate on-ramp to stop the van driven by Pounds, KSP Trooper Joey Brown saw that Pounds had a gun, and shot several times towards Pounds and the vehicle’s driver’s seat. Pounds was wearing a bulletproof Kevlar vest, but several shots fired by Trooper Brown penetrated Pounds around the side of his vest, Sanders said. After seeing that Pounds was down, Brown went to check on Williams, who was in the passenger seat, Sanders said. A bullet had gone through Williams’ left arm, exited the underarm, and continued through the left side of her abdomen. The bullet was later located on the right side of her torso. Brown took a tourniquet out of his equipment belt to try to stop Williams’ bleeding. “He attempted to save her life,” Sanders said. Williams was taken to University Hospital where she was pronounced dead. On Tuesday night, a forensic lab was able to determine that the bullet that killed Williams had come from Pounds’ gun. Sanders said that Pounds fired at least one shot before his gun jammed. Forensic specialists had to fix Pounds’ gun and fire another shot to match the bullet with the one found in Williams.